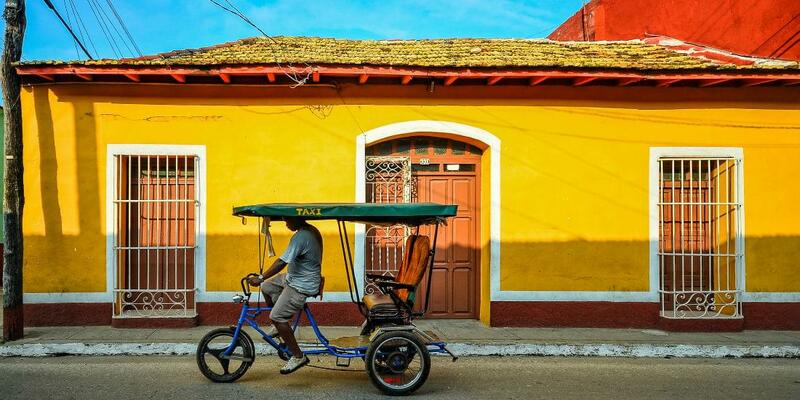 In many ways Cuba is a country frozen in time, which makes it a fascinating destination. Meticulously maintained vintage cars from the 1950s roam the streets, and colonial architecture still dominates Havana. Only an hour and a half away from the capital, and you’re in Veradero enjoying some of the best unspoiled beaches and pristine waters in the Caribbean. 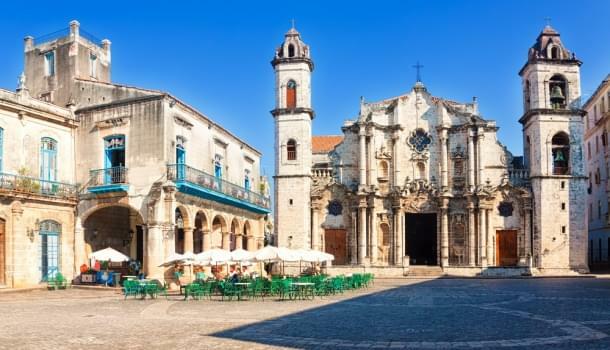 For these reasons and more, Cuba has long been a popular destination for European tourists, even if they have to cross the ocean to get there. The United States is just 90 miles away, but that distance feels much farther. Due to the State Department’s travel bans, it’s difficult and expensive for Americans to get to Cuba. The easiest way is to join a special “educational” tour, but a weeklong trip costs around $3,500. Another option is to go on a research or humanitarian visa, but those can be hard to get. 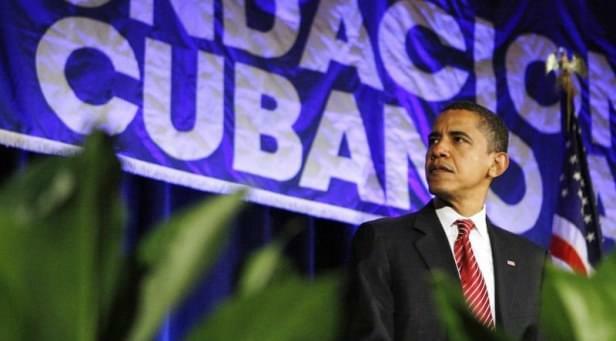 All that is about to change, though, as the United States recently announced it will ease travel restrictions to Cuba. Although it will soon be a lot easier to get there, it’s worth the extra hassle to go now and experience Cuba’s charms before it’s overrun with tourists. Soon enough, most carriers will be able to get you there on an award ticket, but for now the options are limited. No U.S. airline will sell you an award ticket to Cuba yet, so you’ll have to get your flight through a foreign carrier. The easiest option is to use either British Airways Executive Club Avios or Air France and KLM’s Flying Blue miles. One way to get to Havana on miles is to fly through Lima, Peru. You’ll have to fly on LAN Chile for the Lima to Havana leg, but you can pay for that flight using British Airways Avios. It’s best to book the flights between Havana and Lima first, as those award tickets are the hardest to find. You’ll need to be flexible with dates, and be ready to book immediately. Afterwards you can look for the flights you need between the U.S. and Lima. There are more options for flights between the U.S. and Lima. You can pay for them using British Airways Avios, American Airlines AAdvantage miles, United MileagePlus miles or Delta SkyMiles. The cheapest option is to use American AAdvantage miles. It will only cost 15,000 to 17,500 AAdvantage miles versus 20,000 MileagePlus miles or 22,500 SkyMiles for a one-way flight. AAdvantage MilesSAAver tickets aren’t always the easiest to find, though. United is the next cheapest, and they usually have plenty of availability. One advantage of flying with United is that stopovers are free. Since you have to fly through Lima to get to Havana anyways, you might consider spending some time in Peru. And if you are feeling extra adventurous, you could also stay a couple days in Panama and Colombia on the way. Another route to Cuba on miles is through either Mexico City or Cancun. But you’ll have to use Flying Blue miles for the Mexico to Havana flight. Flying Blue is the Air France and KLM loyalty program. Although they’re European carriers, Flying Blue is a great program worth joining. Plus it’s easy to get miles by transferring points from Starwood Preferred Guest, American Express Membership Rewards, and Diners Club programs. The advantage of using Flying Blue miles to get to Cuba is that you won’t have to go to Peru first, so your travel time will be notably shorter. An award seat between Mexico and Havana on Air Mexico costs 15,000 Flying Blue miles one way. Getting to either Mexico City or Cancun is incredibly easy with a variety of programs. Air Mexico is a SkyTeam member and is theoretically bookable with Delta SkyMiles. But remember, no U.S. carrier will sell you a ticket to Cuba yet, even if you are flying with a partner airline. In theory, there are other ways to fly to Cuba on miles, but those itineraries are likely to be even more complicated and harder to book. For example, United claims you can buy tickets on Copa Airlines from Panama City to Havana using MileagePlus miles, but you have to physically be in Panama City to complete the transaction. That’s not practical, and way more hassle than it’s worth since there are alternatives. You could also wait a year or so and probably fly to Havana on miles with most major carriers. They are all currently filing for licenses to fly to Cuba. But why wait? You can get there on miles right now.